The Old Globe will open its 2013-14 Season with The Last Goodbye, a new musical that marries Shakespeare’s Romeo and Juliet and the incendiary songs of the legendary singer-songwriter Jeff Buckley. Conceived and adapted by Michael Kimmel, the rock musical is directed by two-time Tony Award nominee Alex Timbers (Peter and the Starcatcher, Bloody Bloody Andrew Jackson). Choreography is by Sonya Tayeh (“So You Think You Can Dance”), and orchestrations, music direction and arrangements are by Kris Kukul. The complete creative team and cast will be announced at a later date. The Last Goodbye will run September 20 – November 3, 2013, with opening night set for Sunday, October 6. Tickets are currently available by subscription only and can be purchased online at www.TheOldGlobe.org or by calling (619) 23-GLOBE. The Last Goodbye is a remarkable fusion of the classic and the modern, melding Shakespeare’s Romeo and Juliet, in its original text and period, with some of the most thrilling rock music of the past 20 years, staged with limitless invention by one of the true theatrical visionaries at work today. 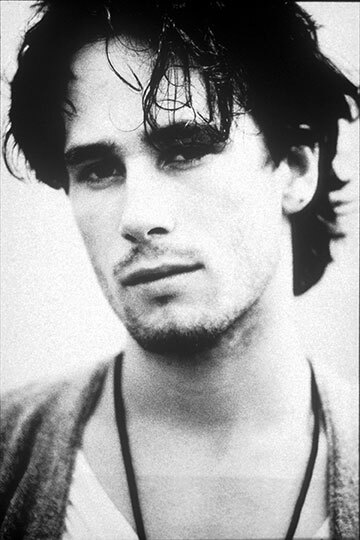 That light in yonder window is still the east and Juliet is still the sun…but the sound in her bedchamber is all new: the sweeping, emotional and extraordinarily beautiful songs of the late rock icon Jeff Buckley. It views the feud between the Capulets and the Montagues firmly from the perspective of the young people it impacts most, and the violence, turmoil and passion in the public streets and private rooms of Verona are given voice not only through Shakespeare’s celebrated poetry but also through music that is intimate and epic, raucous and sublime. The Old Globe is pleased to produce this new version of The Last Goodbye by special arrangement with Hal Luftig, Ruth and Steve Hendel, The Marks-Moore-Turnbull Group and executive producer Lauren Fitzgerald. An earlier version had its world premiere at Williamstown Theatre Festival in the summer of 2010, where it broke all box office records for Williamstown’s Nikos Stage. The new version opening at The Old Globe reflects two years of developmental workshops under the direction of Alex Timbers.